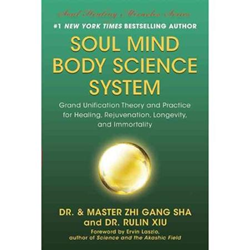 Facebook fans and Twitter followers are treated to stress reducing, inspiring, thoughtful, fun and uplifting gifts from Dr. and Master Sha to help each person prepare for the ending of 2014 and the beginning of new possibilities for 2015. It is usually the ending of one year and the birthing of a new year when people look to change their lives and embark on self-discovery. In a time when there are so many life balance stresses from civil unrest to workplace deadlines to shopping demands to financial worries, more people are seeking harmony in these challenging times. Dr. and Master Sha’s “31 Days of Gifts” invites each person to give back to and nurture their own souls, while preparing for 2015.